To see the how Jesus came to be lifted up on the cross save us through the picture of Moses lifting the snake. 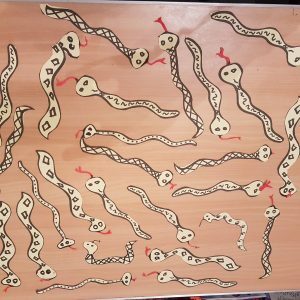 Cut out lots of snakes and put them all over the floor. 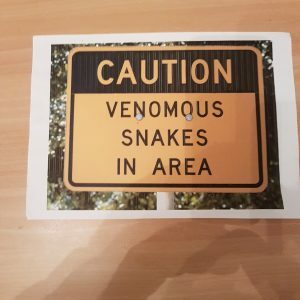 Put ‘Beware Snakes’ posters on the door. 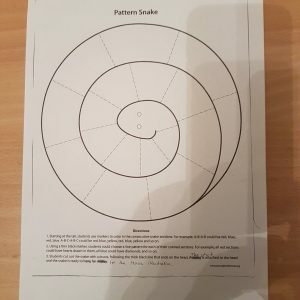 The children have to get to their seat without standing on a snake. Today we are doing a book in the bible. Then say some numbers like 216, 73, 2, 16 etc. Hopefully someone will say ‘Numbers’. Read the story of the bronze snake from Numbers 21 v 5-9. 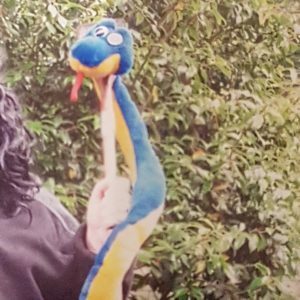 If you can, put a giant snake on a stick as a visual aid, then ask why there is this strange story in the bible. Then read John 3 v 14-16 and compare the 2 stories. See how by calling on Jesus to be saved, we can receive forgiveness and salvation. 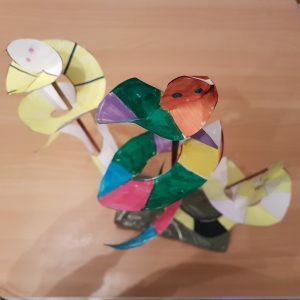 Let each child cut out a snake, colour it in and attach it to a stick.